When probate is required, Empowered Legacy Planning will act as your representative and manage the process for you. There are three types of probate in Arizona: informal, formal, and supervised. Most Arizona probates are informal, which are usually less expensive in terms of attorneys’ fees and are handled quickly and usually without contest. Not all estates, however, are eligible for informal probate. Contested estates are usually resolved in a formal probate, which can include court hearings, depositions, motions, discovery, and a trial, just as any other Superior Court litigation. An informal probate is an Arizona Superior Court proceeding overseen by a registrar (judge), the clerk of the court, or a court commissioner designated to oversee and administer informal probates. Because informal probates have the lowest level of court supervision, they generally can be completed for lower legal fees and in less time than formal and supervised probates. An informal probate is conclusive as to all persons until superseded by an order in a formal testacy proceeding. A formal probate is litigation in Arizona Superior Court to determine whether a decedent left a valid Will and to appoint a personal representative. A formal probate is more time consuming and expensive than informal probate because it involves court hearings and more court involvement in the estate administration. After a personal representative has been appointed, the probate may typically proceed with informal administration. If an Arizona resident dies with a Will that complies with the requirements of Arizona probate law, the person is said to have died testate, which means he or she has a valid Will and the decedent’s probate assets pass to the people or entities named in the Will. 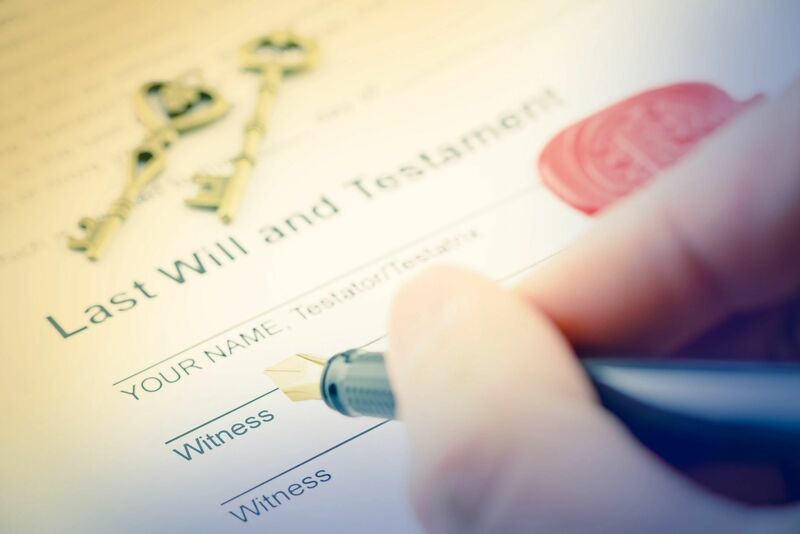 An Arizona resident who dies without a valid Will dies intestate and the decedent’s probate assets pass as provided in Arizona’s laws of intestate succession. When an Arizona resident dies without a valid Will, Arizona law will determine who gets the decedent’s probate assets, which may result in people inheriting property contrary to the decedent’s wishes. A devisee is a person designated in a Will to receive a devise, which is a disposition of real or personal property made under a Will. An heir is a person, including the surviving spouse, who is entitled to property of a decedent under Arizona’s law of intestate succession.